The 'Grand Tipper Shunt' ends. © DRB/Buccabury In November 2002 the Buccabury Branch held a 'grand tipper shunt' to set a record (of sorts) for longest train. 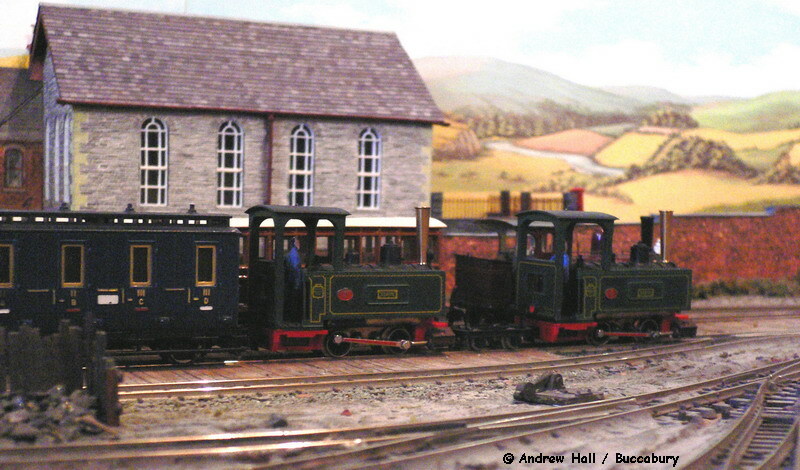 'Owain Glyndwr' and Russell 1' took turns to haul a collection of wagons provided by our group members non-stop around the layout. 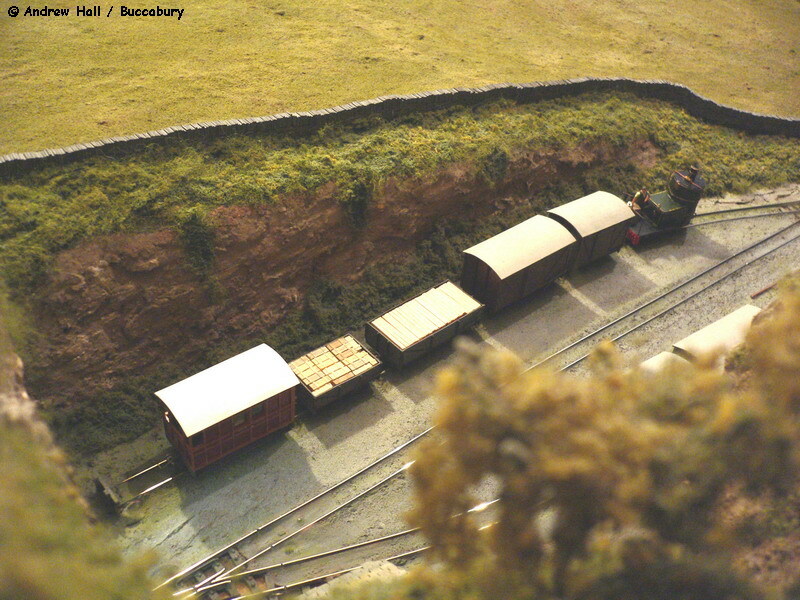 This rather low-quality shot is a still taken from my video camera and records the moment when an extra ten wagons, bringing the total up to 116 vehicles, proved just too much for those at the front of the train! The record was later demolished when we had a repeat attempt at the Risborough & District Model Railway Club's headquarters on a track with far easier curves. © AH/Buccabury In March 2005 The Buccabury Group held our second 'Egger-Ex' where we cleared our cupboards of as many products of Egger-Bahn as we could find, to run(ish) on the L&TR. 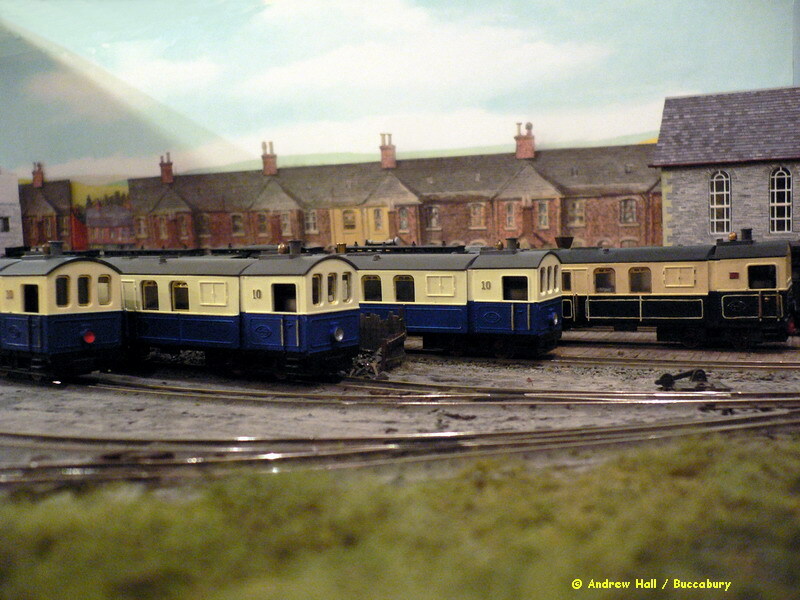 This included a line-up of four railcars. 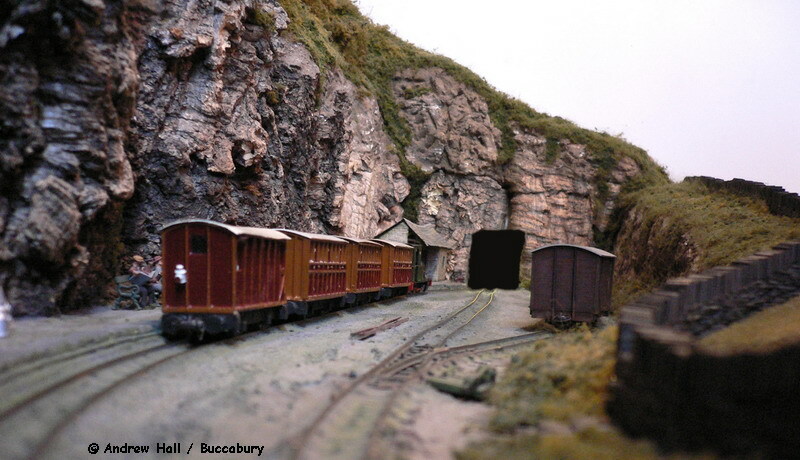 © AH/Buccabury The four railcars are seem 'weight testing' Sychnant Viaduct. The 30th Anniversary, 9th July 2005. The 30th anniversary started with a special train formed of the original rolling stock which left Llanmynach at 5pm and made a trip to Mynydd-yn-Bwlch and back. The assembled dignitaries and guests then repaired to a local hostelry where they partook of a sumptuous banquet. On their return, the railway was toasted with a rather cheap and fairly unpalatable Champagne and trains continued into the summer night. © AH/Buccabury The 30th Anniversary train, comprised of the two original locomotives and original coaches, leaves Llanmynach. © AH/Buccabury The railway's vertical boilered locomotive 'Alpha' was returned to service following a rebuild on 11th July 1980. To commemorate the 25th anniversary of this, she was overhauled and put to work as part of the railway's celebrations. 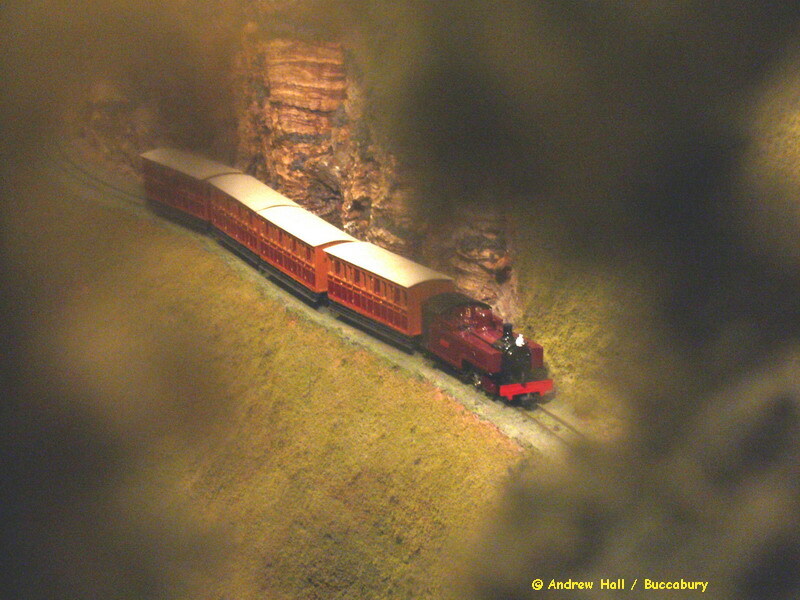 She is seen here through the trees below Pentref Ichel Groes with a goods train at Mynydd-yn-Bwlch. © AH/Buccabury A special event for the 30th anniversary was the commissioning of a new locomotive for the Railway. 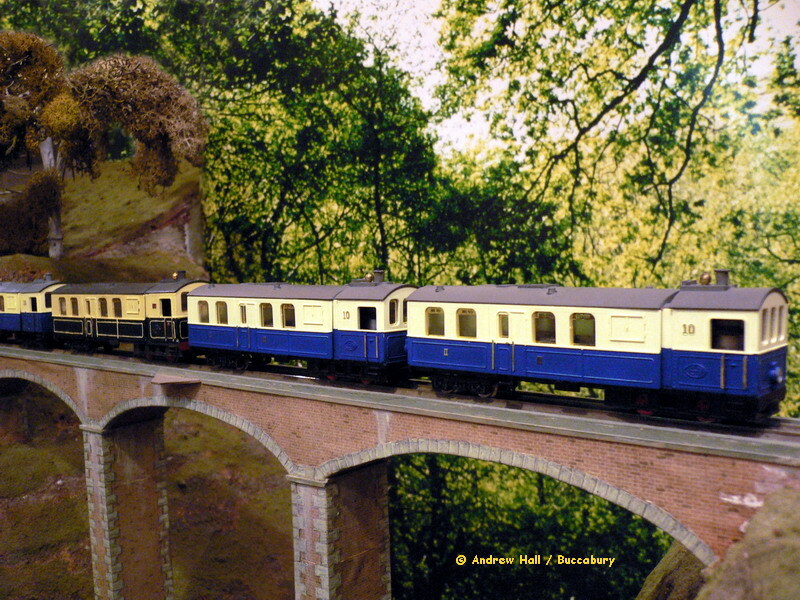 This Roco diesel was recently acquired from Parkside Dundas and is seen here ready to take its first train up the valley. 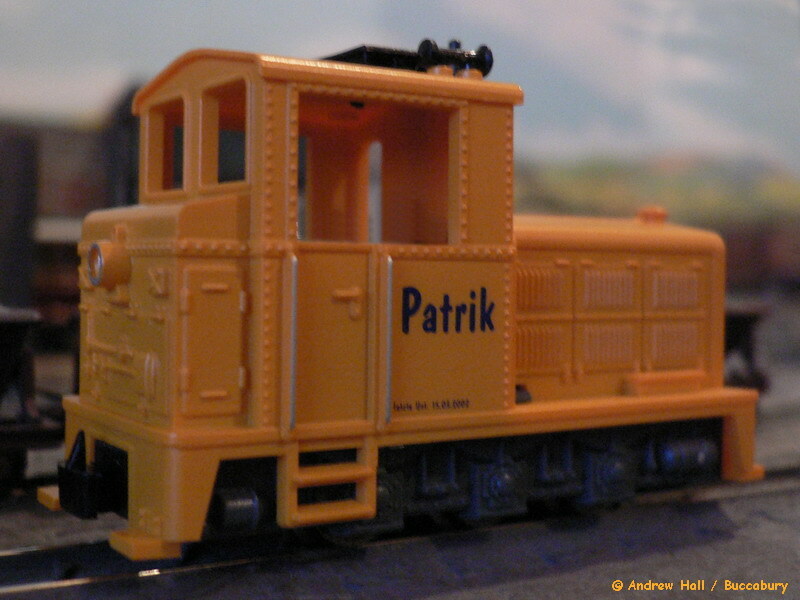 'Patrick' will lose his bright yellow colour during a visit to the paint shop and whilst in the works he will also be fitted with a pair of pick-ups on the centre wheels. 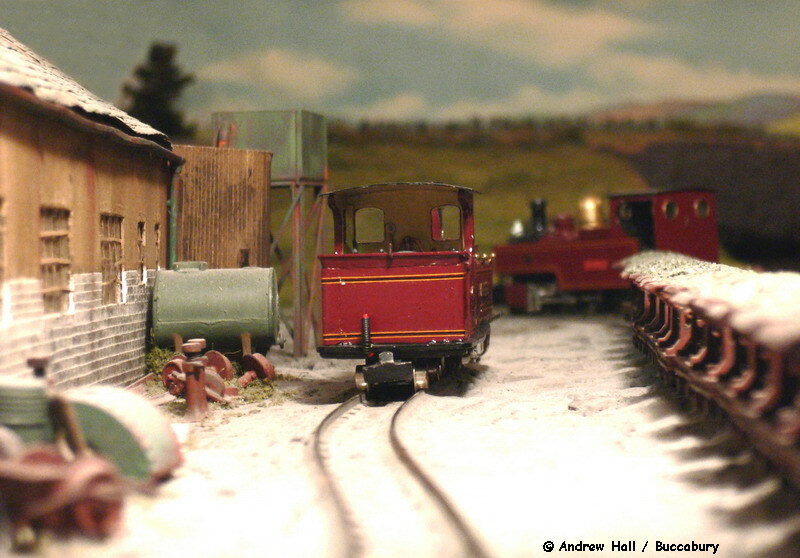 © AH/Buccabury Having hauled one of the special trains, Dolgoch takes a rest after arrival at Mynydd-yn-Bwlch. © AH/Buccabury Seen through the trees below Pentref Ichel Groes, Russell forges up the gradient under Cefn Glas. 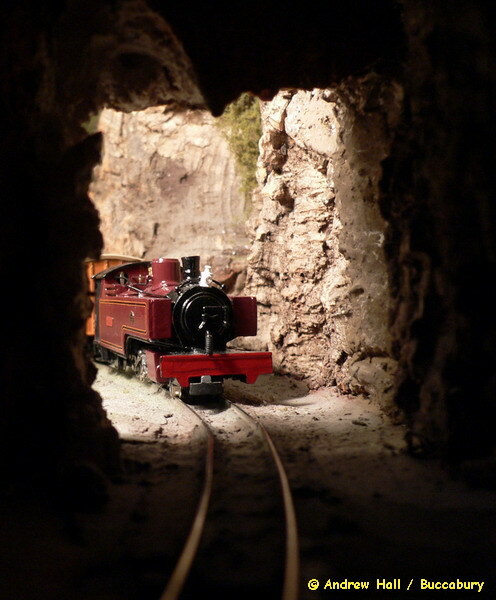 © AH/Buccabury As seen by a photographer shortly to emerge, covered in soot and ash, from the tunnel behind Mynydd-yn-Bwlch station, Russell continues on her way to Tawel-Llety. © AH/Buccabury Snowdon Ranger simmers on the through road at Llanmynach as Russell makes her way towards the platform roads. © AH/Buccabury The events continued far into the evening. 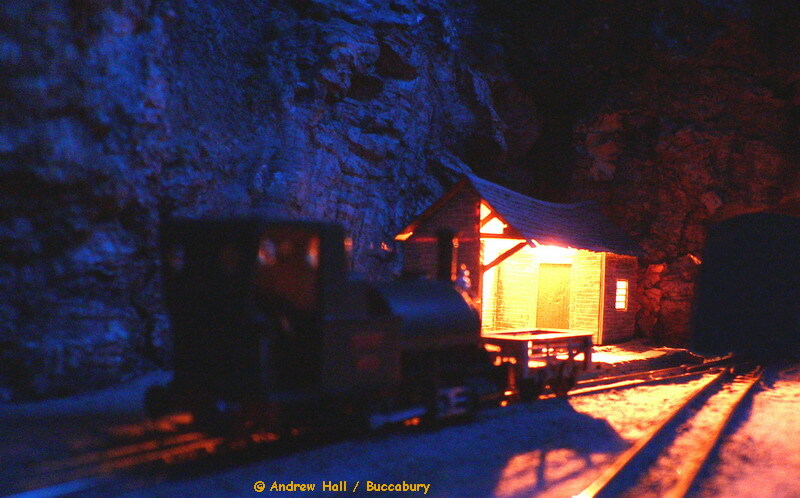 After dark Talyllyn is seen with a solitary slate wagon at Mynydd-yn-Bwlch.